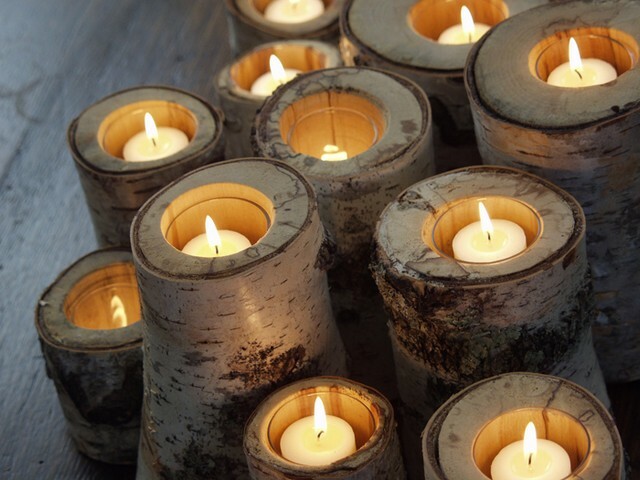 I made these candle holders with my dad using birch logs, a circular drill bit, and votive holders. I decorated shaker boxes with Hambly rub ons. I made Christmas stockings out of thrifted sweaters, and a tree to hang them on using woodgrain contact paper and 3M hooks. I was also inspired by the movie Elf to turn my chandelier into a winter wonderland.